I'm not the type of person to try something new.I have a set box that I live in and I don't step outside of it. It works for me, why change it. New brands stand no change when it comes to me. We talking about food by the way, in-case you didn't guess. I used to always take a grocery list to the store. Till I realize that I buy the same-thing every trip to the store. Well my last trip that all changed. I didn't want it to change but it did. You see it's this new thing that high school kids are doing called "Gallon Smashing". What "Gallon Smashing" is, is picking up some milk and or orange juice and walking and at random throwing it up in the air and falling down as the milk/orange juice hit the floor. Sounds stupid, I know. So I went to the store and I was getting the things that I always buy. Getting the chicken, picking up the yogurt and walking down a million lanes cause they move the pudding again. So when I got to wanting to pick up the Sunny D I slide down over to it. As I'm walking over to it another person is also walking . So we get there at the sane thing and we both just looking at the juice they have. 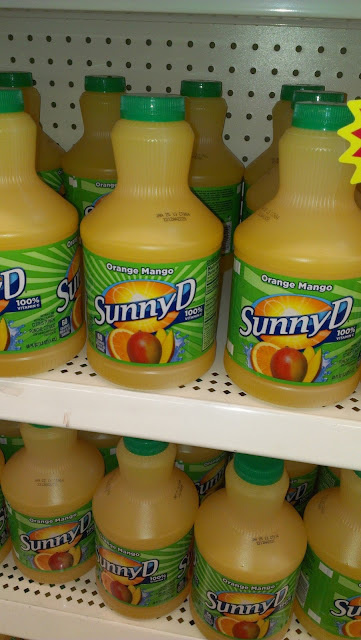 We looking and looking and she goes "You see any regular Sunny D"? I go"No you see any strawberry Sunny D over there?" she reply with a no as well. We both go to find a manager and the manager tells us that people have been smashing the Sunny D and that's all they have left. I was wondering why the Mango was sticky but didn't pay it any mind. That really made me mad that people are just out here smashing Sunny D just to be smashing it. So at first I was just S.O.L. Then I decided to try the Mango Orange. Sounds like a really little thing but it was great and I'm happy that I went out the box a little. Maybe I will try something else new. Just maybe.Yes, I'm looking at you hair removal and Smiles Unlimited. I already don't have any hair on my legs. About time to match the arms right? Perfect teeth and hairless. Nice!